In this post I'll demonstrate one of the many ways to setup a multitenant and highly available Redis cluster using Amazon Web Services, OpenVZ containers, Open vSwitch with GRE tunneling, HAProxy and keepalived on CentOS 6.5. 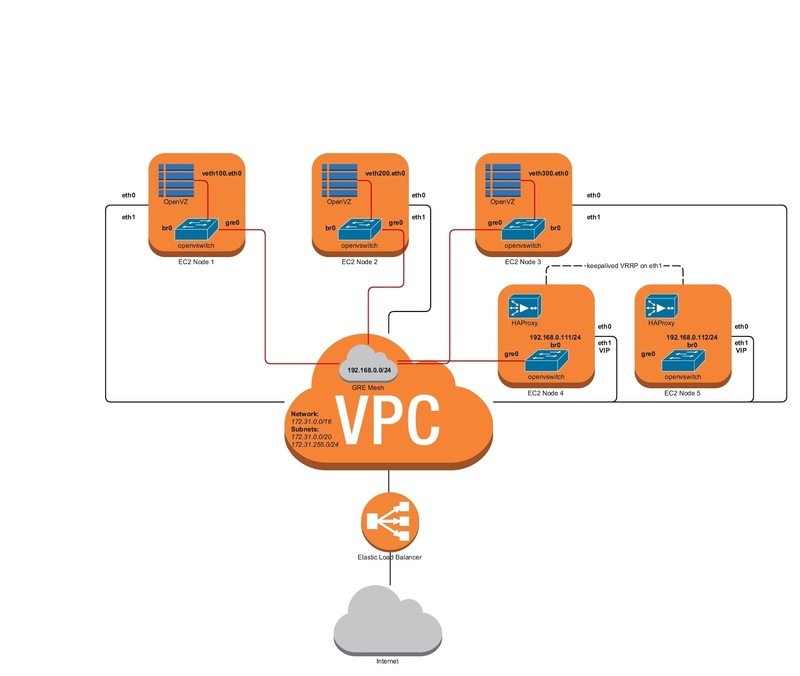 I'll use one VPC, with two Subnets, 3 EC2 instances for the Redis and Sentinel containers, and two more EC2 instances for the HAProxy and keepalived proxy layer. Each OpenVZ container will be part of an isolated network, the entry point to which is the HAProxy node. This is achieved by using Open vSwitch with a mesh of GRE tunnels. 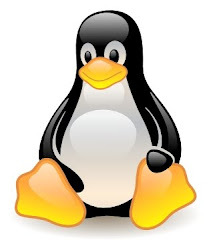 ip addr add 0.0.0.0/0 dev "$host_ifname"
Line 42 is the one that does that and needs to be changed if you are using the script provided with OVZ, as it uses the standard Linux bridge instead. root@ovz_nodes:~# vzctl exec 100 "ifconfig eth0 192.168.0.100 netmask 255.255.255.0"
root@ovz_nodes:~# vzctl exec 100 "route add default gw 192.168.0.111 netmask 255.255.255.0"
root@ovz_nodes:~# vzctl exec 100 "dpkg --install redis-server-3.0.3.deb"
root@ovz_nodes:~# vzctl exec 100 "/etc/init.d/redis-server start"
root@ovz_nodes:~# vzctl exec 100 "redis-sentinel /etc/redis/sentinel.conf"
I created my own Debian Wheezy template using debootstrap, but you can use upstream templates as well. root@ovz_nodes:~# vzctl exec 100 "cat /etc/redis/redis.conf"
root@ovz_nodes:~# vzctl exec 100 "cat /etc/redis/sentinel.conf"
With this the 3 Redis/Sentinel nodes are complete. Next let's move on to EC2 Node 4 and 5.
logger "Unassigning $VIP from peer NIC $PEER_NIC_ID"
logger "Assigning $VIP to self NIC $SELF_NIC_ID"
logger "Unassigning $VIP from self NIC $SELF_NIC_ID"
logger "Assigning $VIP to peer NIC $PEER_NIC_ID"
Keepliaved will be using unicast messages between Node 4 and Node 5. When the state of the node changes it will trigger a script defined on line 29, which will re-assign the private IP from one of the EC2 instances to the other, and keepliaved will raise the IP and send an unsolicited ARP broadcast. For this to work we need to have the aws cli installed (lines 3-5), and auth working (lines 71). If Node 4 and 5 have a public IP you should be able to connect to the current Redis master, as decided by the Sentinels by using the redis-cli command. To test a failover just shut down redis-server on the current master container and watch the sentinels promote a new master and HAProxy detecting the change (lines 107-113).